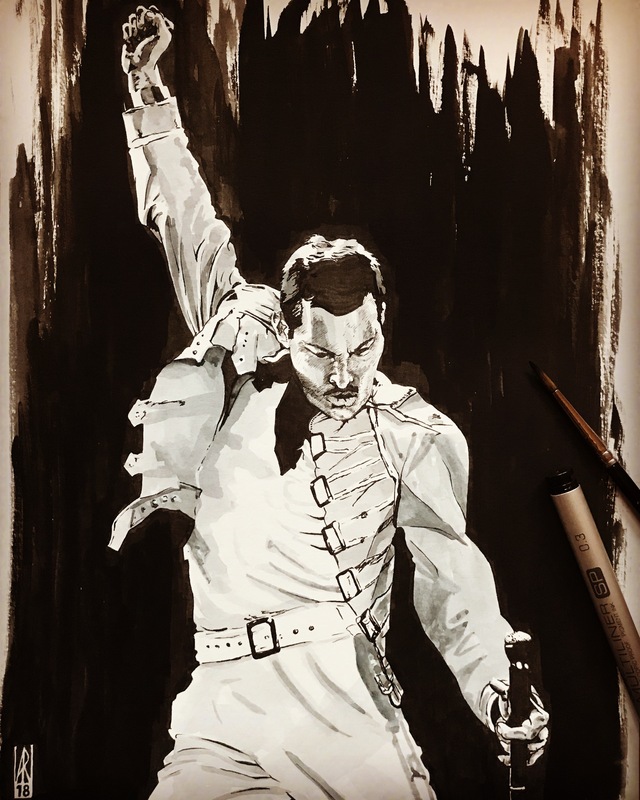 Inktober 2018, Day 4 – Freddie Mercury. Long before I knew anything about music, bands, or Queen, this was the voice of Highlander. Like a lot of young swords and sorcery fanatics, I watched that movie until the VHS tape wore out.